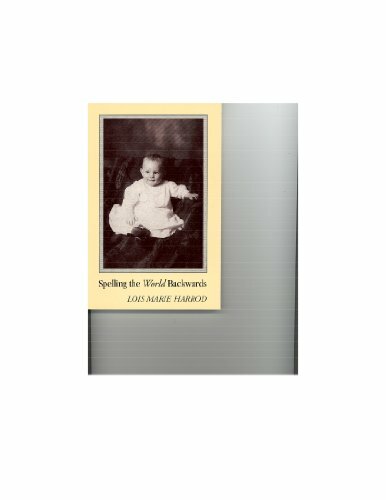 Synopsis: Spelling the World Backwards is a poignant account of a father dying from Alzheimer's disease and a mother's caretaking. Accessible narrative poems tell the story,though not in chronological order, of the father and a mother, their life together, their daughters and his dying--that slow pouring out of grief which accompanies Alzheimer's. Harrod uses Alzheimer's to explore the interrelationships of memory, loss and art in her lucid, well-wrought poems, which celebrate a father's life. About the Author&colon; Lois Marie Harrod is the author of five books of poetry in addition to Spelling the World Backwards: most recently, This Is a Story You Already Know (Palanquin l999), Part of the Deeper Sea (Palaquin l997), Crazy Alice (Belle Mead, l999 2nd ed.). She has been widely published in periodicals, and is a l992-93 and l998 winner of fellowship from New Jersey Council on the Arts. She teaches high school English and is the Supervisor of Creative Writing and the New Jersey Governor's School of the Arts.